One randomly selected red opalized fossil Ammonite (ammolite). Each weighing between 18 grams and 24 grams. Beautiful color play on these ancient fossil specimens! 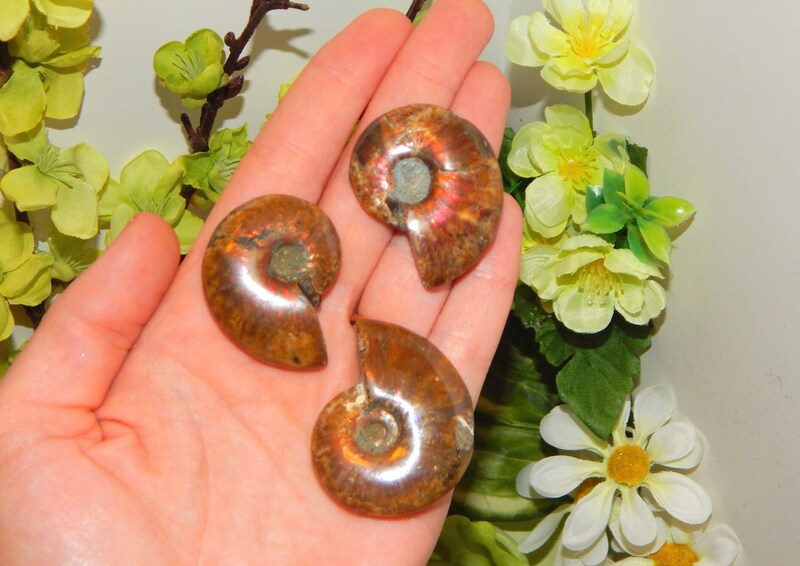 The Ammonite is a very powerful earth healing fossil. Its spiral shape symbolizes continual change and evolution. 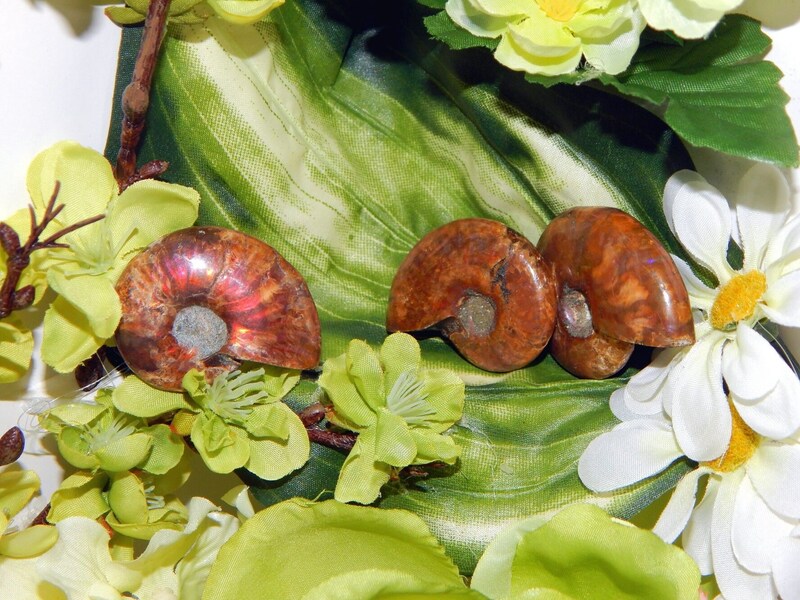 Ammonites have absorbed cosmic energy over eons of time and help to stimulate the life force (Chi) within. 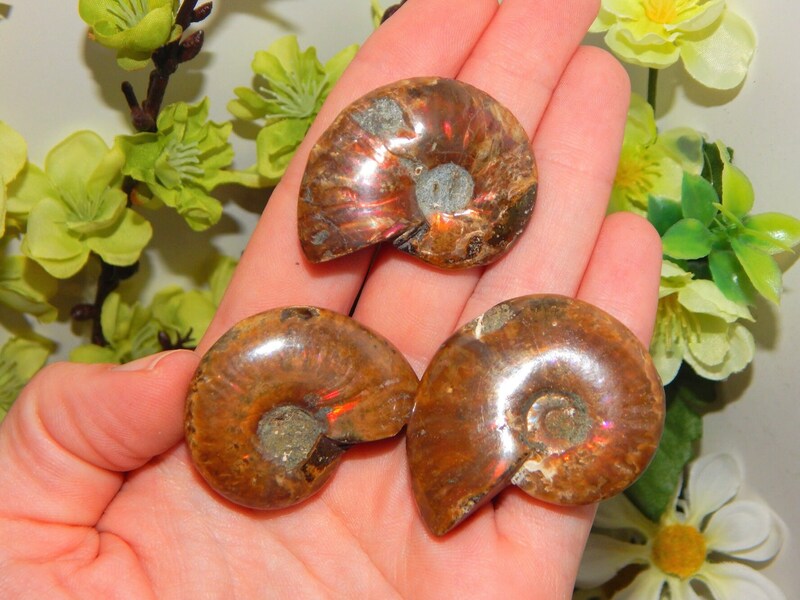 Ammonites are often used for activating Kundalini and life path energies. 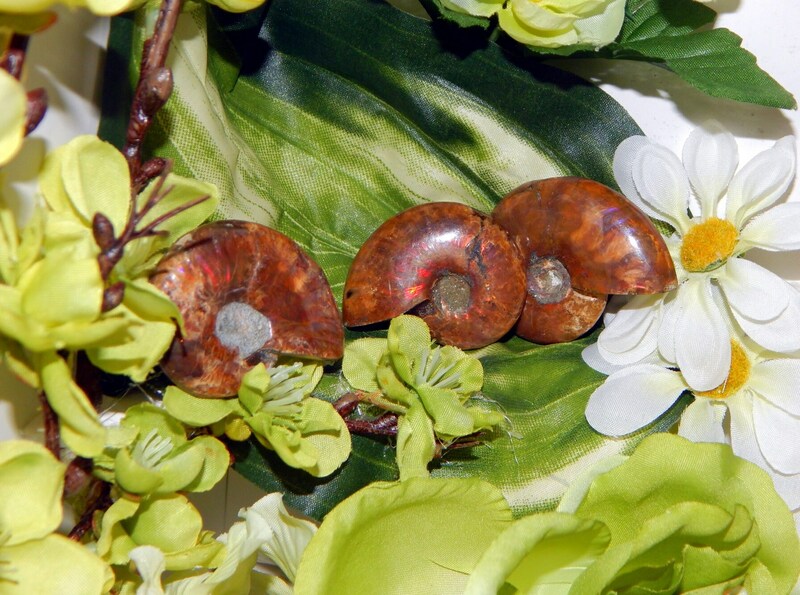 The Ammonite is also often recommended to put in the home to attract health, prosperity and success. The Ammonite draws off all negative energies. Think of the Ammonite spirals as a filter, drawing in these dense energies which are no longer needed, moving them through the spirals and releasing them as fresh, positive, loving life force energies.